On Saturday September 26th join the St. Louis Herpetological for its annual field trip down to Snake Road at LaRue-Pine Hills Natural Area in Illinois' Shawnee National Forest. 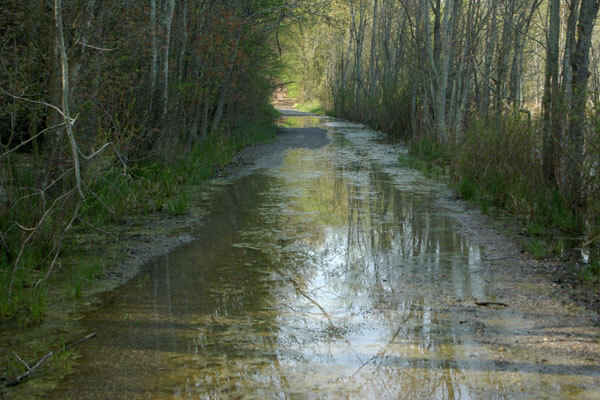 As many of you know this 2.5 mile road that bisects the swamp from the bluffs is closed each fall and spring so snakes and other swamp critters can cross over safely to get to the bluffs for hibernation or to the water for food and breeding. For many herp enthusiasts making the bi-yearly pilgrimage to LaRue-Pine Hills is a ritual. People come from all over the region for a chance to see many species of snakes, turtles, amphibians and lizards. And since this is a time of movement for most of these animals your chance of a sighting is very good. 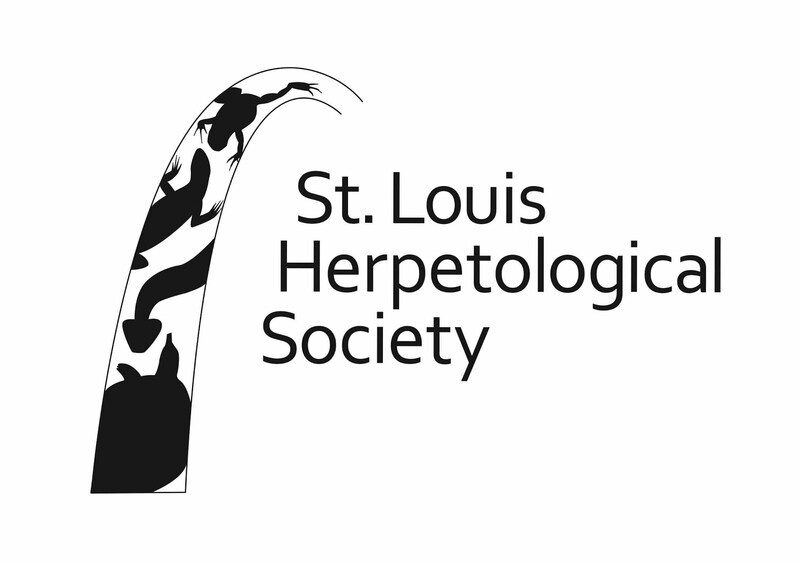 If interested in going down on the 26th with herp society members, there will be a meet-up to carpool at the Park and Ride lot on the corner of 270 and Gravois rd. Meeting time is 8 a.m. sharp! If you would to prefer to meet at Snake Road, the carpoolers should be down at the north entrance of the road at approximately 10 a.m. Be sure to wear good walking shoes and bring your lunch and beverages as this will be an all day adventure. Remember: No bags or collection tools allowed! Here is further information on the area plus rules, regulations and the road closure schedule. Collection or removal of any animals is prohibited. Gathering, herding, harassing or having any animal in possession is also prohibited. The following information was taken from the Department of Agriculture Forest Service website. 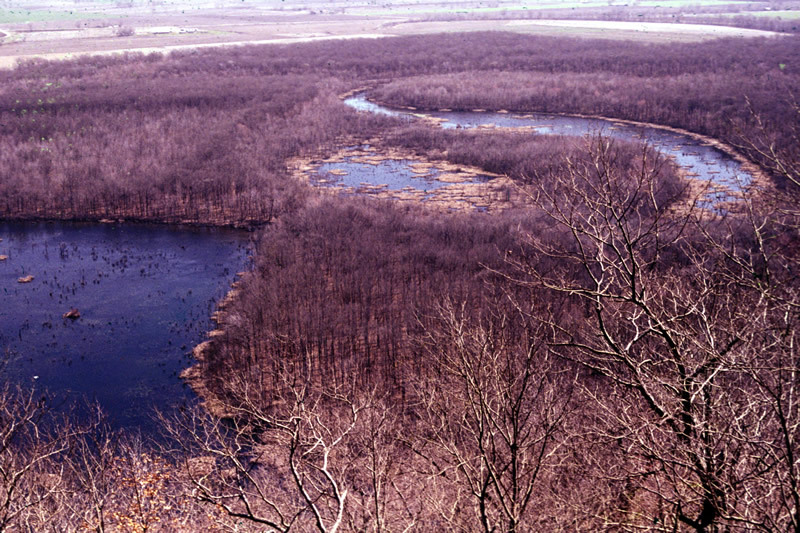 LaRue-Pine Hills/Otter Pond Research Natural Area (RNA) became our nation’s 250th RNA in 1991. RNA’s are permanently protected to maintain biological diversity and to provide places for research and monitoring of undisturbed natural areas. More than 1200 species of plants and animals make their homes in the LaRue-Pine Hills/Otter Pond RNA. Many are threatened and endangered species. Northern prairie plants, southern swamp types and plants typical of the eastern and western forests are all found here, over 1150 plant species in all. It is one of only two sites in the state where the native shortleaf pine grows naturally. Perhaps this area is most famous for the biannual ‘Snake Migration’ across the LaRue Road at the base of the bluffs, adjacent to LaRue Swamp. The road is closed to vehicular traffic every spring and fall to help protect thousands of reptiles and amphibians during their migration between their summer and winter habitats. About 66 percent of the amphibians and 59 percent of the reptiles known to occur in Illinois are found here (approximately 35 species of snakes). Approximately 90 percent of the Illinois mammal species and 173 bird species inhabit the RNA. It is an important resting area for migratory birds and waterfowl. Some unusual animals and birds that make LaRue-Pine Hills their home include the bobcat, bald eagle, spring cavefish, eastern woodrat, golden mouse, Mississippi kite, and indigo bunting. Protecting the Reptile and Amphibian Population The yearly migration involves the hibernation of the animals during the winter months in the bluffs. These animals then move to their feeding grounds in the swamp during the summer months. 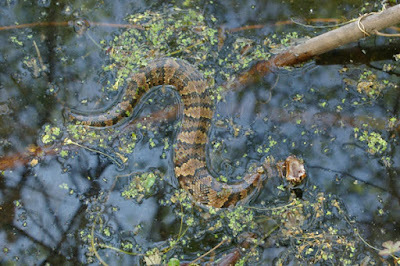 Herpetologists have reported that the main factor in triggering the seasonal migration is ground temperature. This road was open to traffic year-round prior to 1972. This resulted in the death of many animals that were crossing the road. Consequently, the Forest Service decided to close a 2.5-mile segment of the road during the seasonal migration to protect the reptiles and amphibians. The road is now being closed for two months in the spring and fall to further ensure the protection of early or late migrating species. The number of animals protected by this action is unknown, however, far fewer reptiles and amphibians are found dead on the road. The closure dates are March 15 to May 15 in the spring and September 1 to October 30 in the fall. Collecting of any kind is prohibited. The impact of this action on people is minimal. People who want to enter this area of the Shawnee National Forest for scientific study or recreation are welcome to travel the snake road on foot or by non-motorized methods. Alternate travel routes are available for the motorized traveler. The closure does not interfere with waterfowl hunting, a popular late fall activity in the LaRue Swamp. This Research Natural Area has been established to protect a number of special plants, animals and important scenic attractions. To help meet these objectives the following special restrictions apply to public use and occupancy of the area. The following is prohibited:  Use of all forms of motorized vehicles or mechanical transport, including use of motorized watercraft or equipment, except on Forest Road 345 and the woods road in the SE ¼ SE ¼, Section 21.  Collection or removal of any snake species. This includes gathering, herding, harassing or having in possession.  The use of horses except on Forest Road 345.  Overnight camping.  Building fires outside stoves, grills, fireplaces or fire rings provided by the Forest Service at designated sites. Portable heaters or cooking stoves using processed fuels, as alcohol, gas or gasoline will be permitted.  Abandonment of refuse brought to the LaRue-Pine Hills RNA.  Establishment of commercial enterprise, construction of any improvements, establishment of permanent or semi-permanent camps or erection of structures. Temporary waterfowl blinds are permitted, but must removed at the end of each hunting day.  Excavation, disturbance or removal of any soil, stone, dirt or material lying upon or contained in the rock or soil of the area.  Cutting, killing, destroying, injuring or removing living vegetation. A “Permit for Collection” is required and will be issued only for research and educational purposes. Permits and rules governing the removal of plant species may be obtained from the Forest Supervisor, Shawnee National Forest, for certain limited scientific and educational purposes. For a permit application visit our website at www.fs.fed.us/r9/forests/shawnee or write to Shawnee National Forest, Forest Supervisor’s Office, Attn: RNA Coordinator, 50 HWY 145 South, Harrisburg, IL 62946  Taking or killing of any animal, bird, fish, reptile or amphibian, except for game species as defined and permitted by state laws. A “Permit for Collection” must be approved by the Director of Illinois Department of Natural Resources and the Forest Supervisor to take a species not authorized by Illinois game and fish laws.  Conducting research projects, which the Forest Service has not approved in writing. 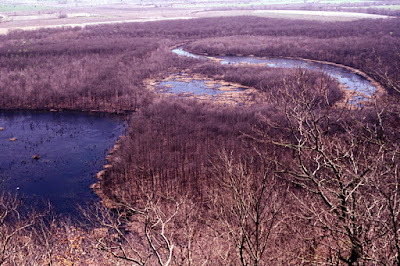 For a copy of the official Forest closure order and area map setting forth conditions of occupancy and use in the LaRue-Pine Hills/Otter Pond RNA contact Mississippi Bluffs Ranger District, 521 North Main Street, Jonesboro, IL 62952, (618) 833-8576. Facilities: Small parking lot at Winters Pond can accommodate up to 15 vehicles. Safety: Poisonous snakes are in the area. If you encounter any snake avoid being bitten by slowing moving away. Collection or removal of any animal is prohibited. Gathering, herding, harassing or having any animal in possession is also prohibited. Surrounding Area: Clear Springs Wilderness, Oakwood Bottoms Greentree Reservoir, River to River Trail and Pine Hills Campground. Emergencies: The nearest hospital is St. Joseph’s in Murphysboro. The nearest public phone is in Grand Tower. Come On Down! It Is A Great Herpetological Adventure For The Whole Family.